Your valuable insight will help us continue to innovate and enhance educational tours for you and your students. Please complete this six-question survey to find out how you compare to teachers across the country. 1. Why do you teach? Select up to three. 2. What do you find MOST challenging about teaching your students? 3. Which of the following skills do you think are the most important for students to develop? Select up to three. 4. 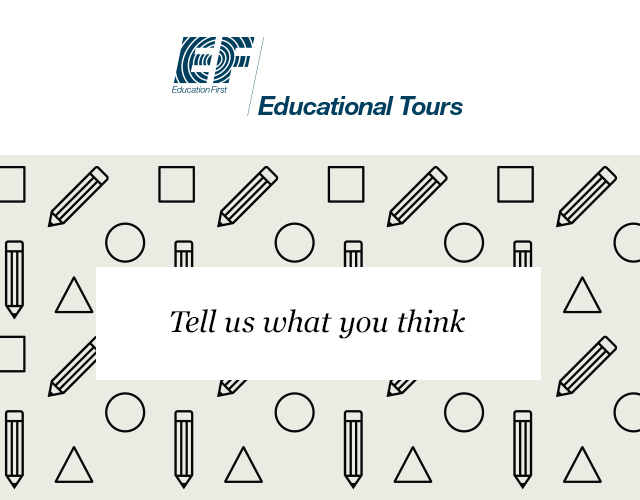 Which of the following statements reflect how you feel about educational travel? Check all that apply. 5. If you could take your students on an educational tour anywhere in the world, where would you want to travel first? 6. Do any teachers at your school currently lead travel programs with students? Interested to see how other teachers responded?